This is old-fashioned grammar work at its best. Students rewrite each sentence, correctly capitalizing the appropriate words. There are guided lines on which they write, which is helpful with handwriting. 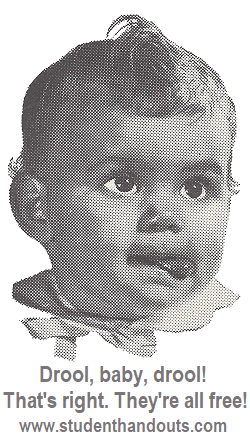 Kids can complete this individually or as a class. Capital Crimes Worksheet #1 - Click here to print. Capital Crimes Worksheet #2 - Click here to print. Capital Crimes Worksheet #3 - Click here to print. 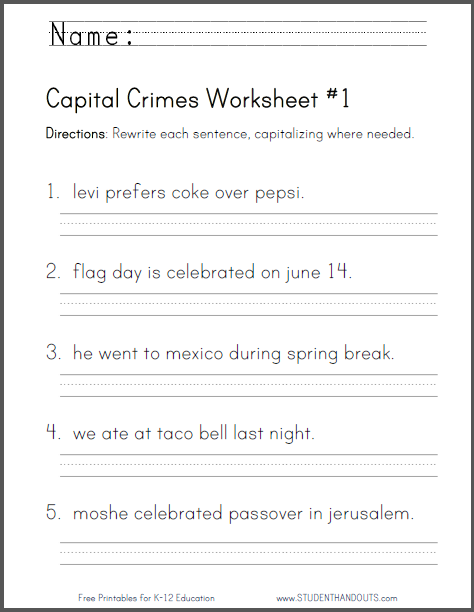 Capital Crimes Worksheet #4 - Click here to print.